The flu is a contagious respiratory illness caused by influenza viruses that infect the nose, throat, and sometimes the lungs. 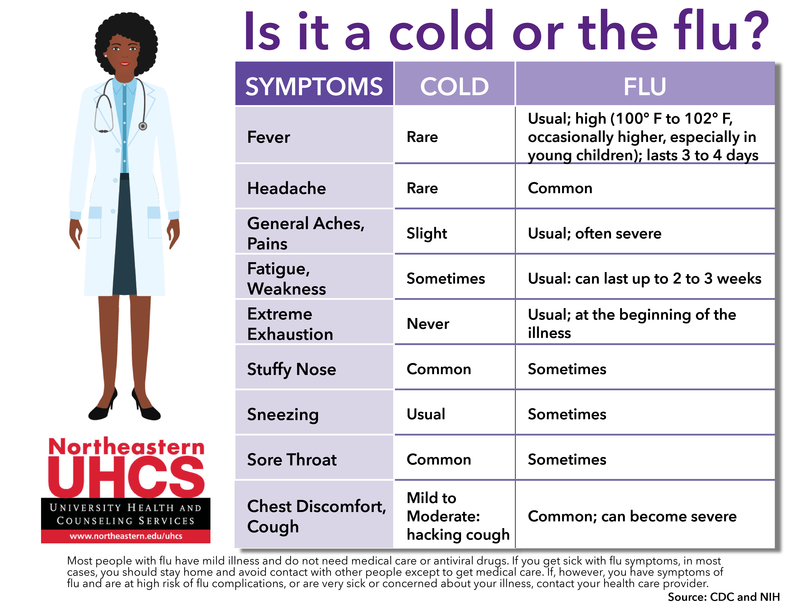 Influenza virus can cause mild to severe illness. 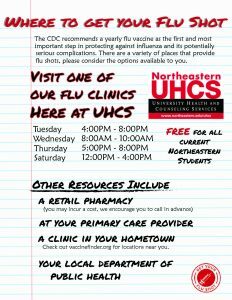 Please visit the Centers for Disease Control and Prevention (CDC) to learn about the flu. 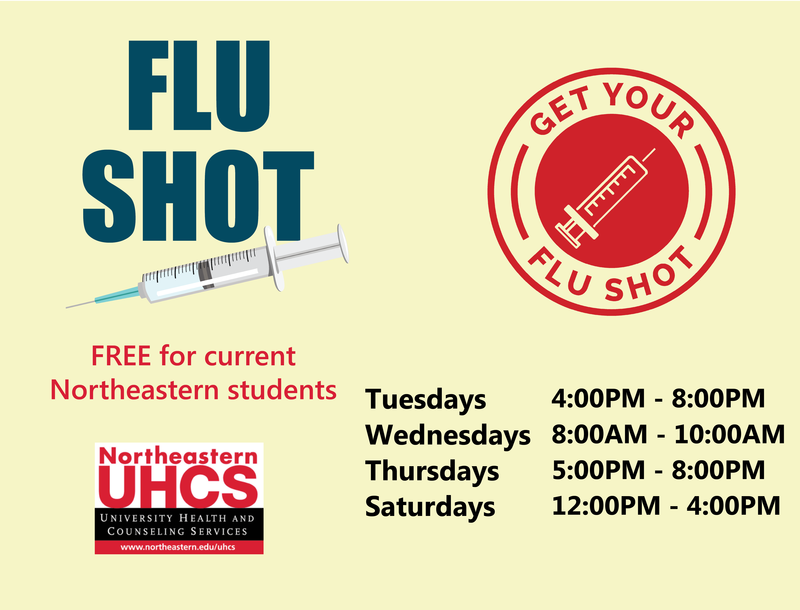 Did you know that current Northeastern students can get a flu shot for free at UHCS? 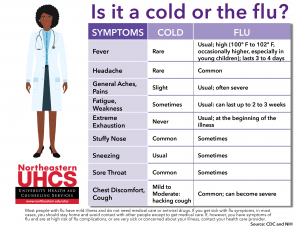 The CDC recommends that you should get a flu vaccine now, if you haven’t gotten one already this season. 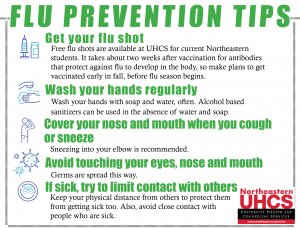 It’s best to get vaccinated before flu begins spreading in your community. It takes about two weeks after vaccination for antibodies to develop in the body that protect against flu. 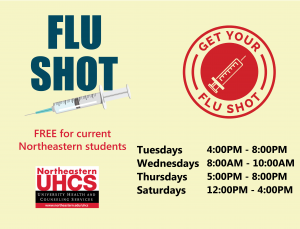 UHCS offers free flu shots for current Northeastern students. 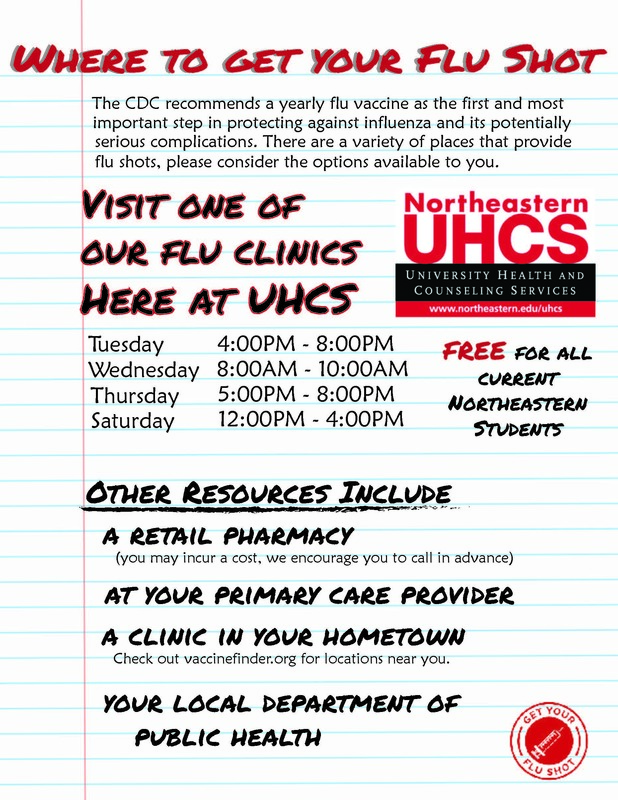 Flu Clinics are held: Tuesdays 4:00PM – 8:00PM, Wednesdays 8:00AM – 10:00AM, Thursdays 5:00PM – 8:00PM and Saturdays 12:00PM – 4:00PM. 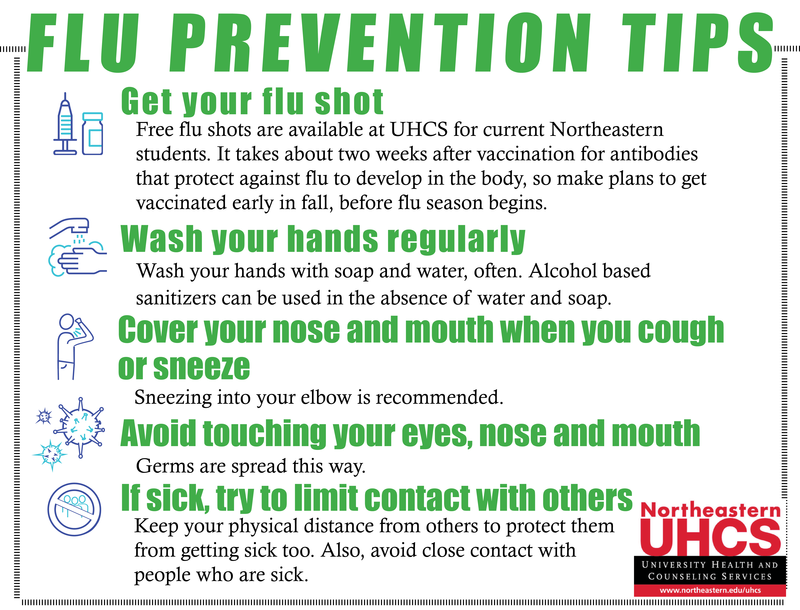 In addition to UHCS there are other available resources for the flu shot, for more information see the document below. 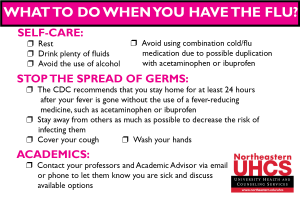 What do I do if I have the flu? 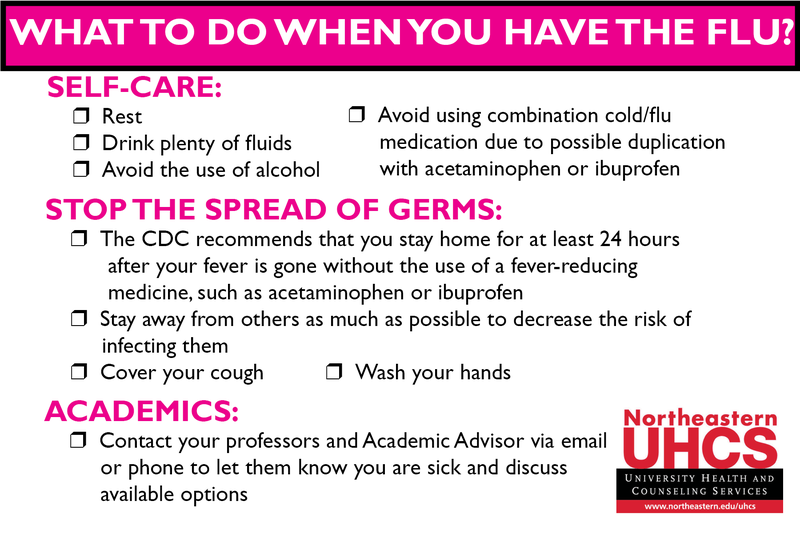 Taking care of yourself when you have the flu is important for you and those around you. 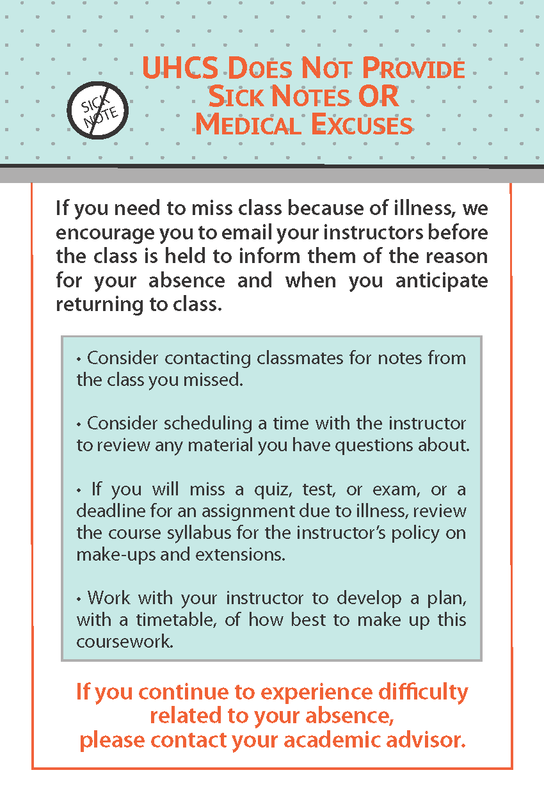 In addition to self care and decreasing the spread of germs, it is strongly recommended that students reach out to their instructors and Academic Advisors regarding being out of class. 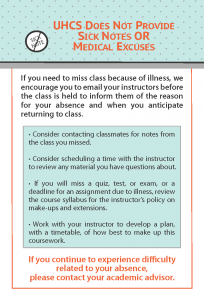 For more guidance on contacting your instructors, please see the We Care Tip Sheets. 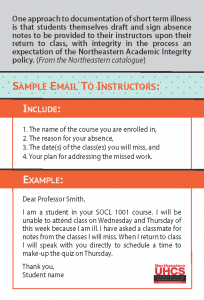 How to contact your professors and Academic Advisors? 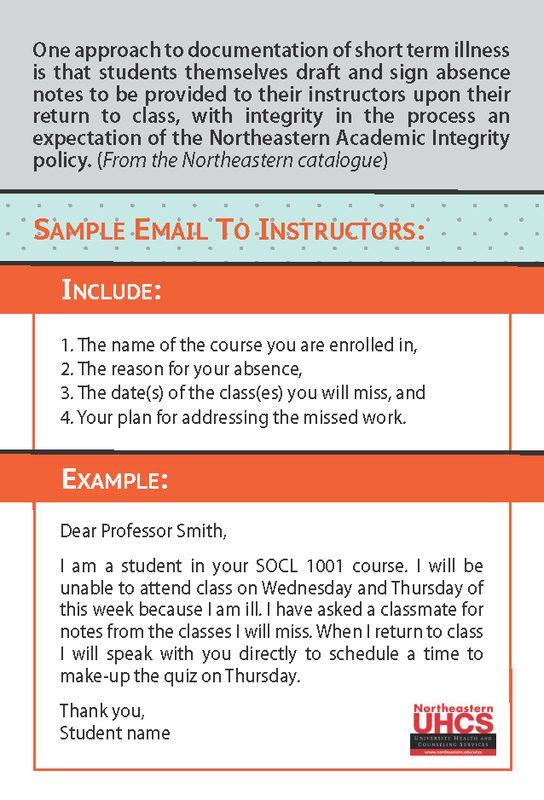 Contacting your professors and Academic Advisors about your absence from class is strongly recommended.